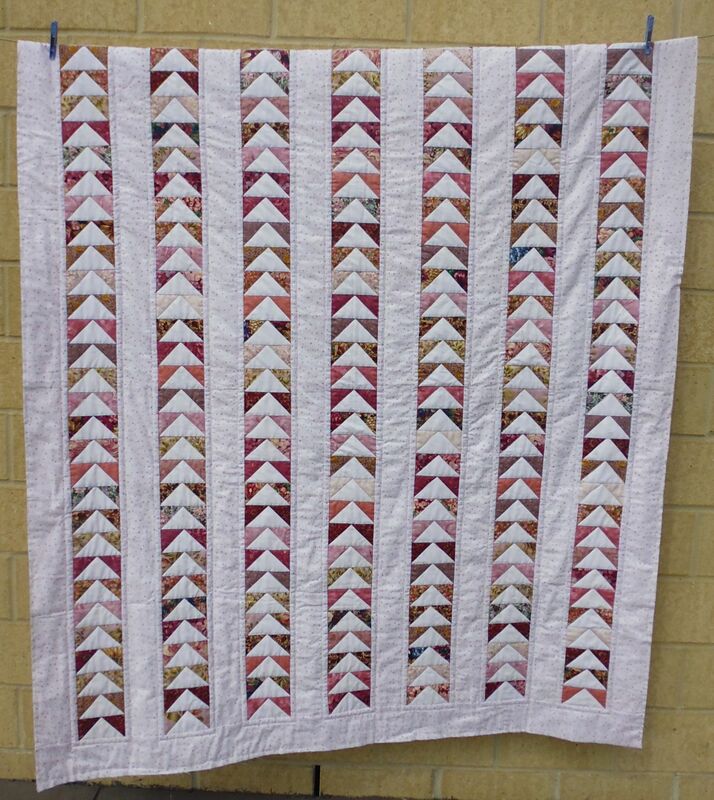 Even though I’m not really a fan of pink, I quite liked this flying geese quilt. 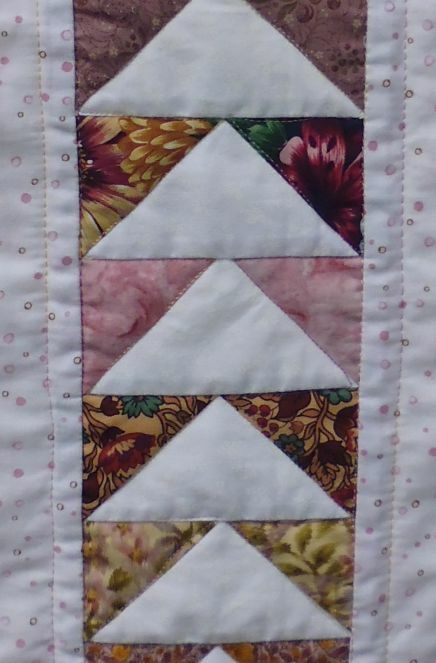 But how to quilt it? Surprisingly, the thread I used wasn’t pink but was a variegated thread of yellows and purples! It blended in well.